Arco is the gateway to the Craters of the Moon National Monument and Preserve. The Craters was originally designated as a national monument in 1924 to preserve the very concentrated and unusual volcanic features. In 2000, President Clinton expanded the monument to include virtually all of the the Great Riff. Subsequently, Congress in 2002, designated the area the Craters of the Moon National Monument and Preserve. 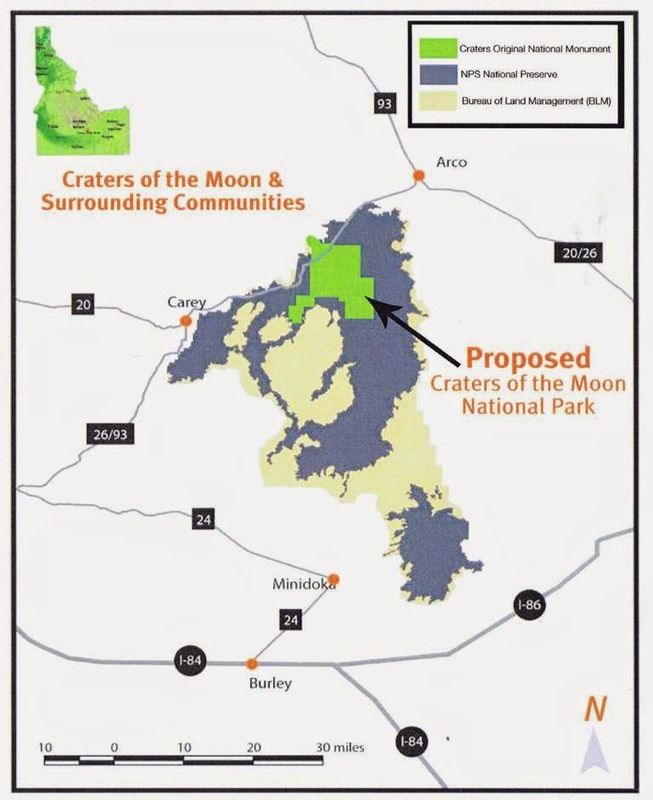 The Craters is managed both by the National Park Service (NPS) and by the Idaho Falls and Shoshone Districts of the the Bureau of Land Management (BLM). Three managements programs are in effect depending on the area. The original national monument, operated by the National Park Service, much of which is designated wilderness, is managed for preservation. It comprises the 54,000 acres of the original monument, the visitor center, campground and the loop road with access to many volcanic features. The Park Service also operates the "preserve", which includes virtually all of the lava beds in the Great Riff and very little other land. In the preserve, no grazing is permitted, but hunting is permitted. The other parts of the "new" monument are operated by the Bureau of Land Management. In these areas, grazing, hunting and on-trail/road motor vehicle use is permitted. This area included many interesting and scenic features, many of which can be approach by recreational vehicle or ATV on existing roads. 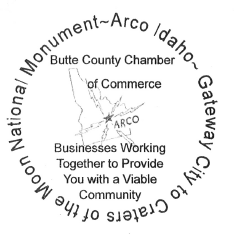 Travel maps for the National Park and preserve can be obtained from the Craters Visitors Center or at the Arco Butte Business Incubation Center in Arco.